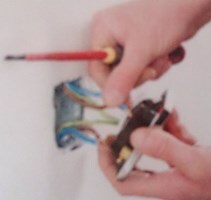 Cornwall Electrics - Alarms/Security, Electrician based in Lostwithiel, Cornwall. Cornwall Electrics provides a full range of electrical services and strives to set itself apart from the competition with our competitive pricing and top class service. We aim to always be at appointments on time or give prior notice of any delays. Our top quality workmanship using only trusted and reliable brands ensures you maximise the benefit from your installation. We always have basic cleaning materials to leave your property as clean, tidy and dust free as possible. Electronic quotes, Invoices and Certificates are available for your filing convenience.